Reservoir engineers today need to acquire more complex reservoir management and modeling skills. 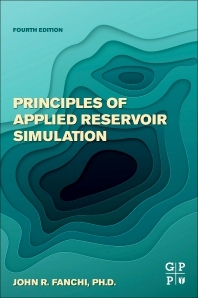 Principles of Applied Reservoir Simulation, Fourth Edition, continues to provide the fundamentals on these topics for both early and seasoned career engineers and researchers. Enhanced with more practicality and with a focus on more modern reservoir simulation workflows, this vital reference includes applications to not only traditional oil and gas reservoir problems but specialized applications in geomechanics, coal gas modelling, and unconventional resources. Strengthened with complementary software from the author to immediately apply to the engineer’s projects, Principles of Applied Reservoir Simulation, Fourth Edition, delivers knowledge critical for today’s basic and advanced reservoir and asset management.